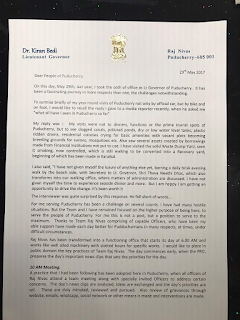 Open Letter to Dear People of Puducherry on completion of One year of my duties, as Lt Governor. 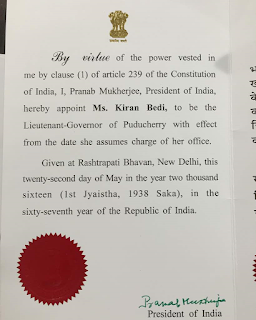 Wish to Thank ALL ..who enabled and helped me Serve Puducherry. 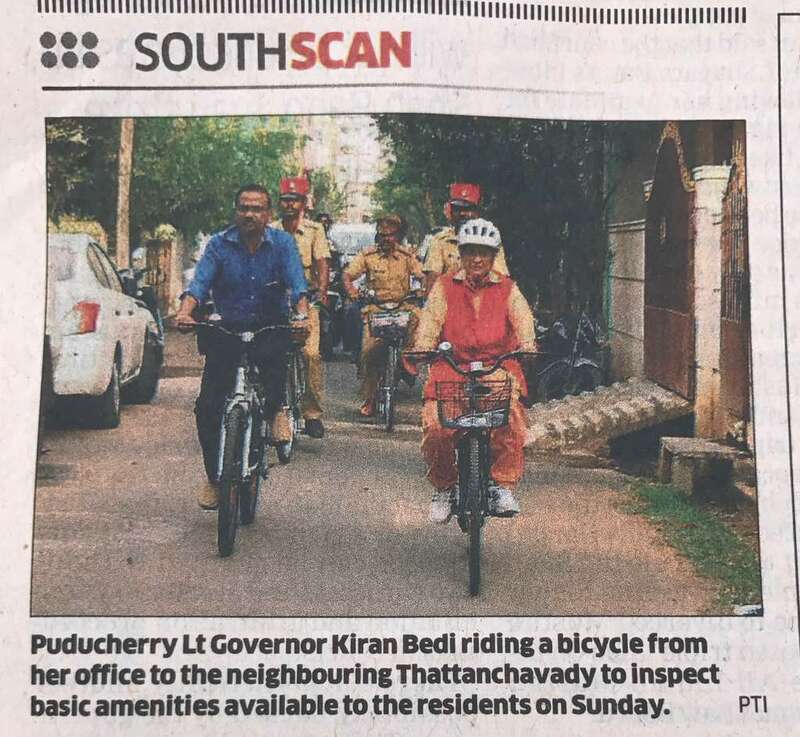 This Sunday Team Raj Nivas and Team Swachh Puducherry went biking around the city to see the overall state of cleanliness. The Team presented the Swachh workers with shawls of gratitude at several places. Most of this work is being carried out by above middle aged women and older men. The workers said while they clean, some people litter the place again in their very presence. It is time for people to respect their services. A while from now even their services will become difficult to get. Or not affordable as is the case in the West. Earlier we switch to source segregation and mechanised collection and then waste to wealth / energy/ manure/ creation, the better shall it be. Community and Municipal Agencies must learn to work together. Community leaders need to lead this transformation. Our PM is taking us to the right direction. 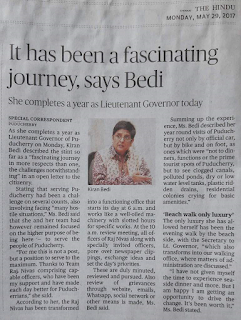 We all have to walk the path in all Municipalities and make it a caravan..of Swachh Bharat. 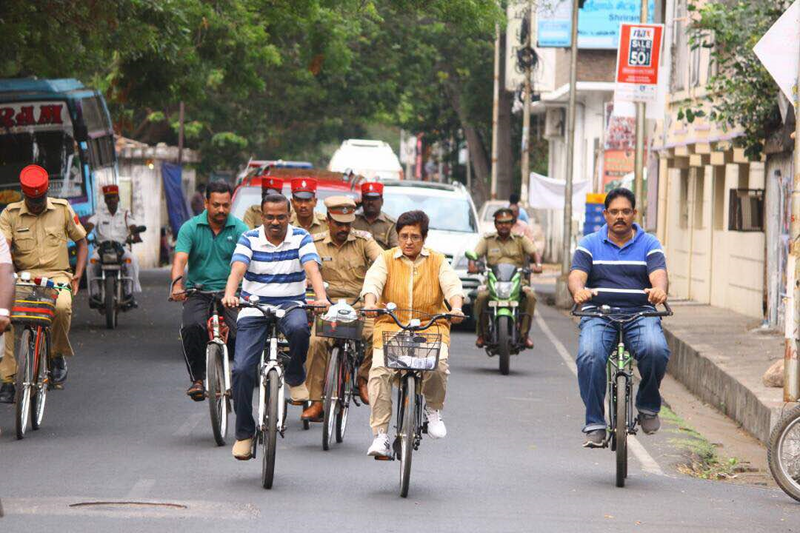 The Municipal Commissioners and Collectors have to get out of their cars and gym and bike their streets. 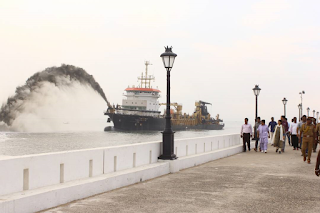 Only then will mounds of garbage go and people's attitude towards sanitation, and swatchh workers change. 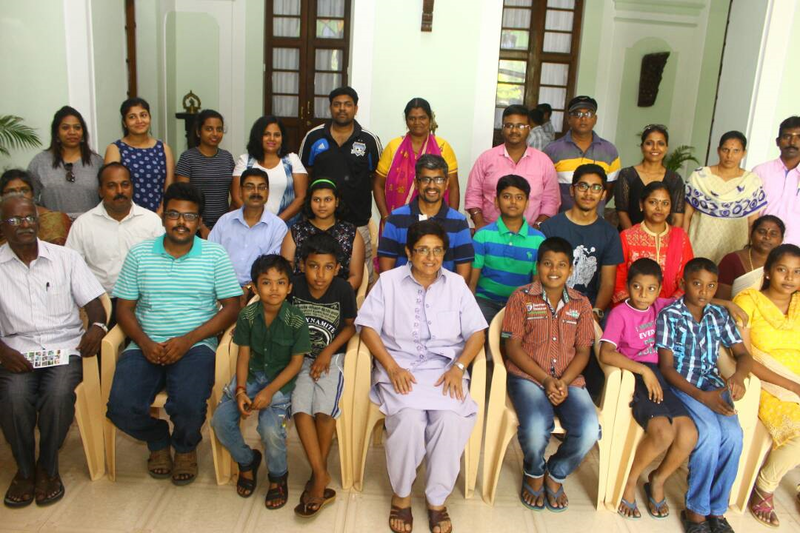 This is the 21 Batch of Visitors to Raj Nivas . Every day, 12-1..30 PM, Mon-Sat, a group of visitors registering via Raj Nivas Website come to Raj Nivas to see this best maintained and most prestigious heritage building. After their visit the group picture is placed on our website for them to share with their friends and relatives. This was the 80th 6AM weekend round by Team Rajnivas. This was the 80th 6AM weekend round by TeamRajnivas. 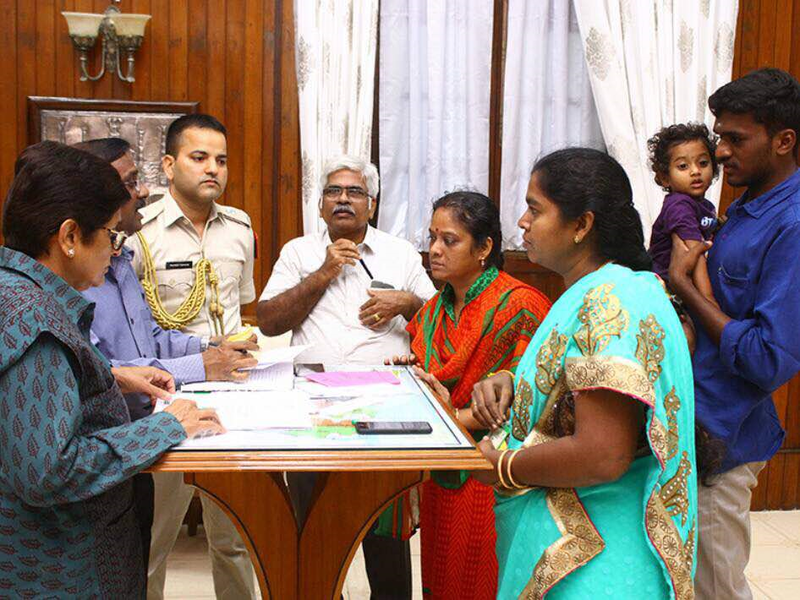 We went to a Market area in response to a representation received from the Industries association, regarding increasing incidents of extortion, road safety, public nuisance, and deficient civic amenities. 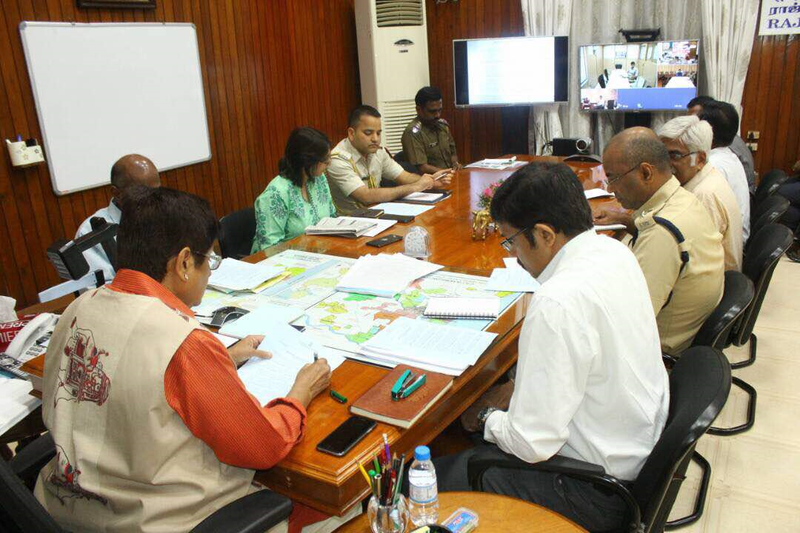 A mechanism for resolution of such complaints was put in place to respond. 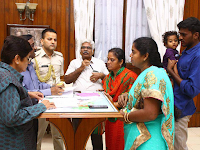 A Whatsapp group of all key officials, including the Commune Commisioner, The SHO, Beat officer, PWD, AE/JE,Road Safety engineers, besides others, and active members of the Association and Residents of the Village, was formed to collaborate to resolve. The Port visit led to identifying important points to be included in planning, well before port becomes operational. This will prevent problems to surface later. 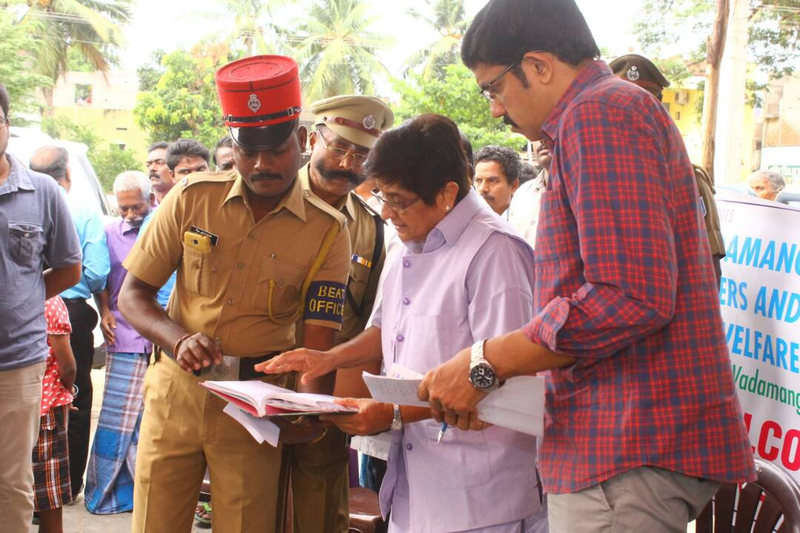 A detailed observation note is being sent to the concerned for examination and required time bound action. 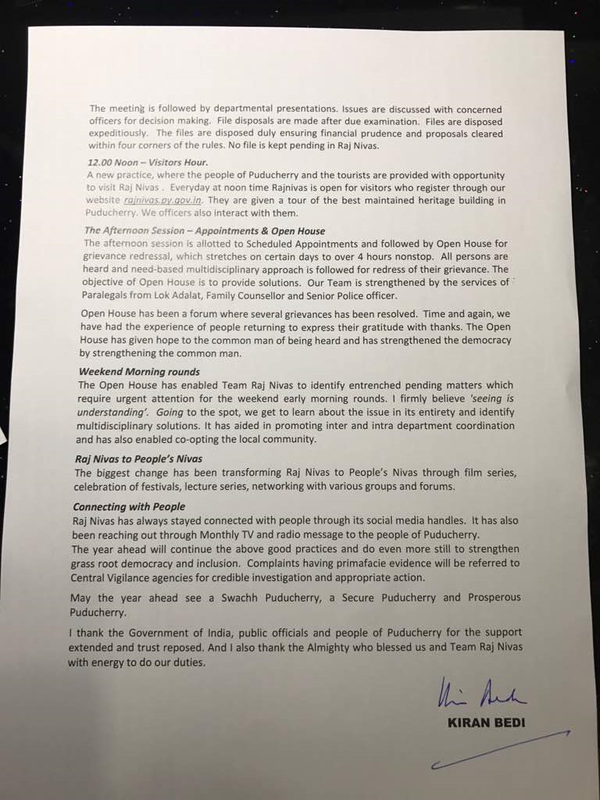 This is a synopsis of how we plan the day together as Team RajNivas daily @10 AM when we all meet, ideate, review, strategise, plan and implement. 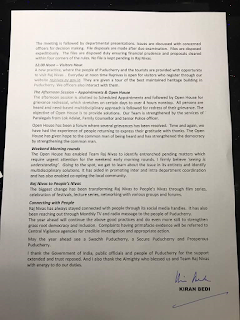 @ 4PM as an Open House at Raj Nivas where anyone wishes to meet comes by an appointment 4-5 PM or at 5-7 PM, by a token given on first come first serve basis. to any person with a grievance. All are addressed on case to case basis. 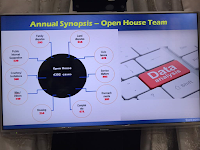 The slides shared are indicative of last nearing 12 months..
Collector who STEPS OUT-- If he can why not others? Imagine if all Collectors do? If all Municipal commissioners do? 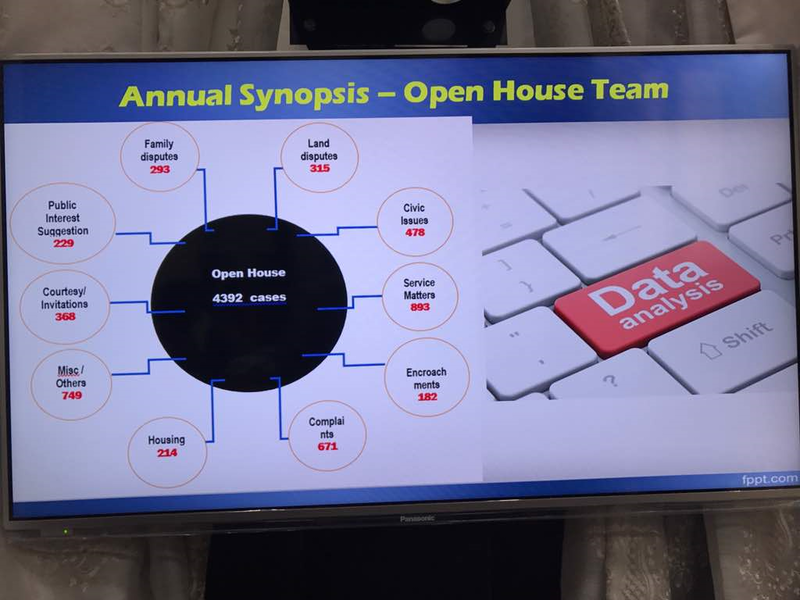 If Secretaries of land and development, agriculture, public works department, medical services, education, social welfare, transport, law and order, rural and urban development, environment and others do? Why must they not be in the field to see implementation? Why can they not be proactive? And preventive? Rather than be reactive? Why must they wait for people to complain? Why can't they sense people's needs for which they are and be self driven? This is what we from RajNivas have been repeatedly advising. Some have done, many have not. By their not stepping out we are losing time in the speed of change. Also corruption complaints will reduce by being at the spot. Seniors will get to know their officers better. They too will have to show performance. Seeing is believing. Field speaks. There are today several funded schemes from govt of india for the people of india. To ensure their full use unless officers step out these will remain mostly on paper. It must be optimally utilised. Once public officers realise the higher purpose of their privileges, they will step out. This is exactly where RajNivas Team has done for almost the whole of last 12 months. We are seeing, reviewing, correcting, guiding, mentoring, training, collaborating, providing, and directing. Most of all listening and learning. Because this is the higher purpose of being in high positions. For that the more they step out the more they will achieve. Like this Collector. He is proving it. If one can do, so can all. others. Every position is a responsibility to the degree one wants to..! Why Biking as a Lt Governor? Because it makes such a position give a message of accessibility and accountability. One of simplicity and integration. Also one of proximity and communication. What if more senior positions do this wherever it is possible. In rural areas with roads or small towns in early hours of the morning when traffic may be low. Much before the traffic picks up and return by 8.30 AM. It sends a message to all that cities have to be clean and obstruction free for people to walk and drive. It also helps greet people as one pedals.. The common man becomes a part of the governance. He feels he is related and can reach out. What if all Municipal Commissioner bike early hours of weekend/s or choose the days they wish and drive past heaps of garbage. Will it remain or vanish. Instead of going for a morning walk to a gym or a Public Park or a beach at least once a week bike around the town and see the change. It will make grass root staff work and deliver and display their good work. People too will cooperate. Once appreciated a positive change will come about. It will bring in shared responsibility. This happens only when persons in top positions are committed by act not word.. This is a practice which was adopted way back in 1982 during DCP traffic days in Delhi Police. It worked. It empowered commuters to complain. We already have police control rooms to respond. Even appreciate. We have rewarded drivers too. 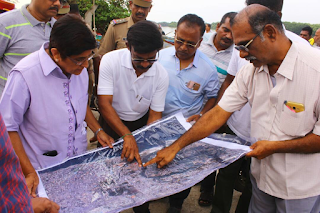 Such like solutions come when public officials stay close to the ground level and remain sensitive to people's needs. This must be available in hard copies as well as on social networks down loadable with assured response. It's a serious grievance which must be addressed on a regular basis. Make whatsapp numbers available where people can photo send it too. 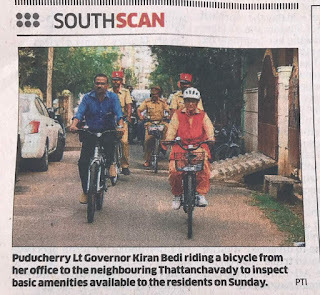 This is being done in Puducherry. Hard copy can be contributed by CSR active community social groups. Social media has empowered people in real time. They need to value and use this better. School lessons on how to use it best need to be given in class rooms, and training halls for public servants to take them out of a time warp. (those who need). It makes systems vibrant and participative. 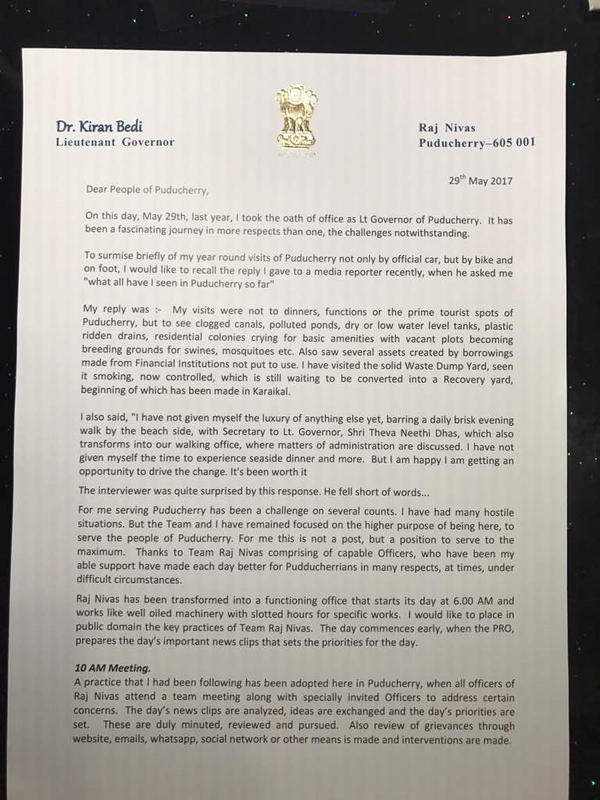 Enclosed is the piece worth reading..
We in Puducherry have used social media it to the best of our ability, sometimes to the annoyance and respect, at the same time. But that is not the purpose. Larger objective always is respecting people's right to know and help them make informed decisions or choices. To be free to form their own perspectives. The demographic dividend to be truly a reservoir of human energy has to be engaged in citizen responsibility beyond casting a 'trust' vote once in five years. ( which many still do not go out to vote). The lead must be given by leadership at key levels to ensure people willingness to participate and contribute. And the Appointed Public officials. First the elected representatives. ( all levels). They can be the real social reformers. After winning the votes they need to return to people to organise them in social reform. Make leadership groups of them for environment, women's dignity, value systems, skills development for youth, care for elders. Ensuring rule of law so that people feel secure in mobility and visibility. Just as they hold political meetings for seeking votes they must return to people with social reform agenda. Time to time. And their performance assessment be not what they gave away free but what transformation they brought about in quality of life of the people. One which is inclusive and not divisive. Creating self reliance and not dependence and expectations for free lunches. It's about creating opportunities of social,political and economic empowerment. Next leadership is by the public servants. 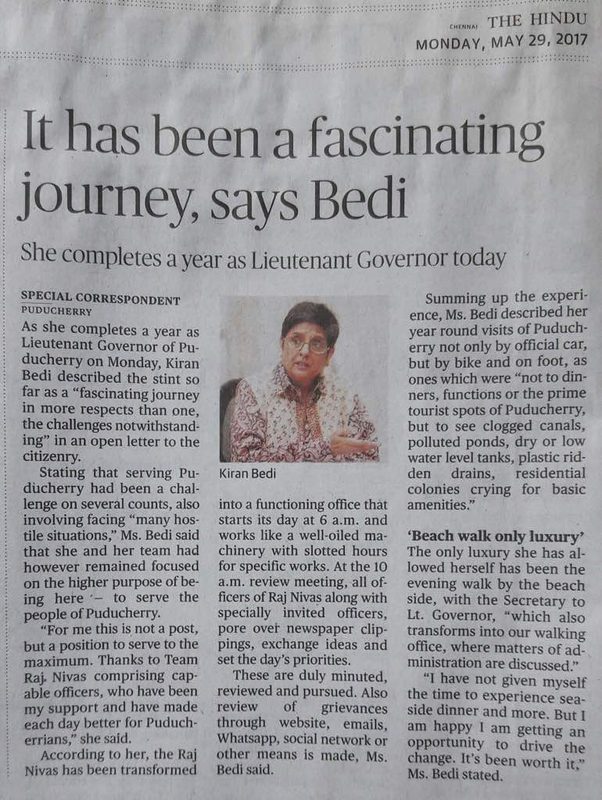 After getting appointed they must step out daily to see and review implementation. They must go to people rather that wait for them to come. 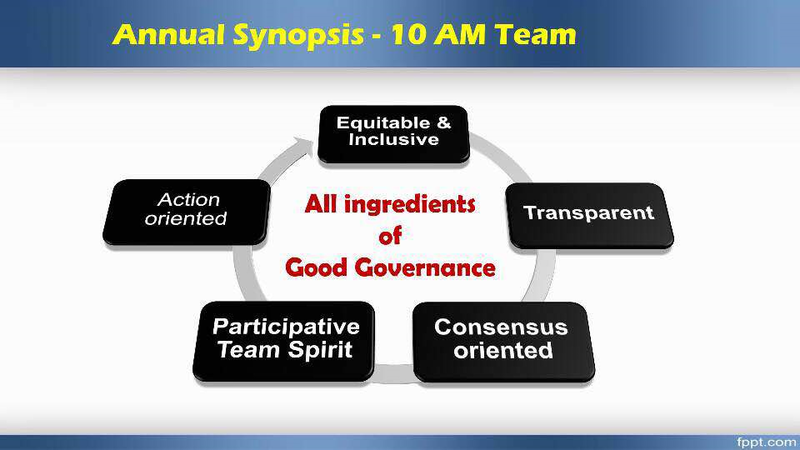 This is will ensure sensitivity, quality performance, integrity in governance and financial prudence. Both currently are in serious deficit. 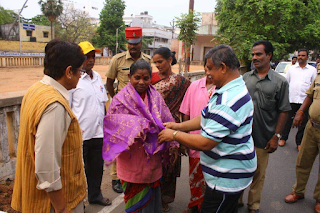 What is being achieved to an extent is through NGOs supported by CSR. Or by missionaries and activists on their own. These have a limited reach. To ensure comprehensive citizen engagement it has to be an alignment of intention to serve by elected leadership, appointed public servants and social workers. 'New India' will be fast forwarded by this synergy.